It’s not a requirement that your home follow a formulaic design scheme. I mean really, where’s the fun in that anyway? If you’re looking to create a space of experimentation, joy and comfort, look no further. 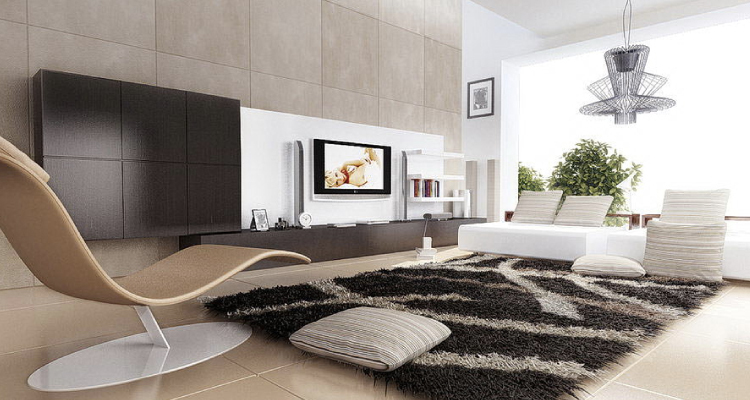 Designing your living room to capture your artistic spirit and inventiveness is all about color, texture and warmth. In your search for design ideas, you’re going to come across a lot of blogs that give you hard and fast rules about interior design and what makes a space “successful.” Your living room isn’t a showroom, it’s more of a blank canvas. So the question, really, is why should we follow a trend when we already know what we like? That’s why you’re here, reading this. You know what you like, you just need a little help putting it all together, but in truth, don’t we all? You don’t have to repaint the living room walls for a burst of color, you can easily bring color into the space using a wall hanging. Tapestries are an affordable alternative to repainting a room, and they can serve as the statement piece of the space. Think about other living rooms you’ve been in before, what was the one thing that made them different from each other? It’s hard to think of an answer to that since it seems that most people go for the same boring furniture arrangement (why does everything have to face the television screen?) and prerequisite framed black and white landscape photograph. The tapestry will warm up your space through its colorful arrangement and will bring you peace every time you look at it. Besides that, hanging a tapestry is easier and takes way less time than repainting the space! A living room needs more than a couch and a coffee table, it needs to feel comfortable and represent your boho aesthetic. This can easily be accomplished by placing some well-designed (think funky patterns and soft textures) throw pillows and blankets around the space. There is no specific number of throw pillows that a couch needs, so get however many you want and dispense them around the space. Different sizes, colors and textures will make the space look more dynamic while also making it warm, comfy and bright. Color and texture are your friends in the living space. If you want good vibes, decorate with your favorite colors. No living room is complete without a modern rug. Hear me out: rugs come in a variety of styles. The size, texture and color of a rug can greatly impact the living space. Every room needs an anchor point, something that ties it all together. Rugs do that. How do rugs bring the room together? By complementing the color of the space and generating a mood. No one is happy sitting in a cold living room. An area rug warms the space by providing extra material padding and bringing bright, bold color into the room. A rug, much like the wall tapestry, is a work of functional art—you’ll save on the heating bill and have a living room styled to your particular specifications. You should be able to sit or recline in whatever position you desire in your living room, but sometimes finding the right position on the couch just doesn’t cut it. You can arrange jazzy patterned floor pillows in whatever layout you like; you can recline, sit up, or stretch out in a yoga position—it’s all up to you. Having floor pillows allows for more seating which means you can have more people over, you can host a bi-weekly game night! A cozy, laid back living room makes for happy home dwellers, never forget that!